The smartwatch market is a tough place to compete. As it's evolved, it's become more focused on fitness tracking than blowing up your wrist with notifications. That's understandable given our increasing need to disconnect from our digital obligations. 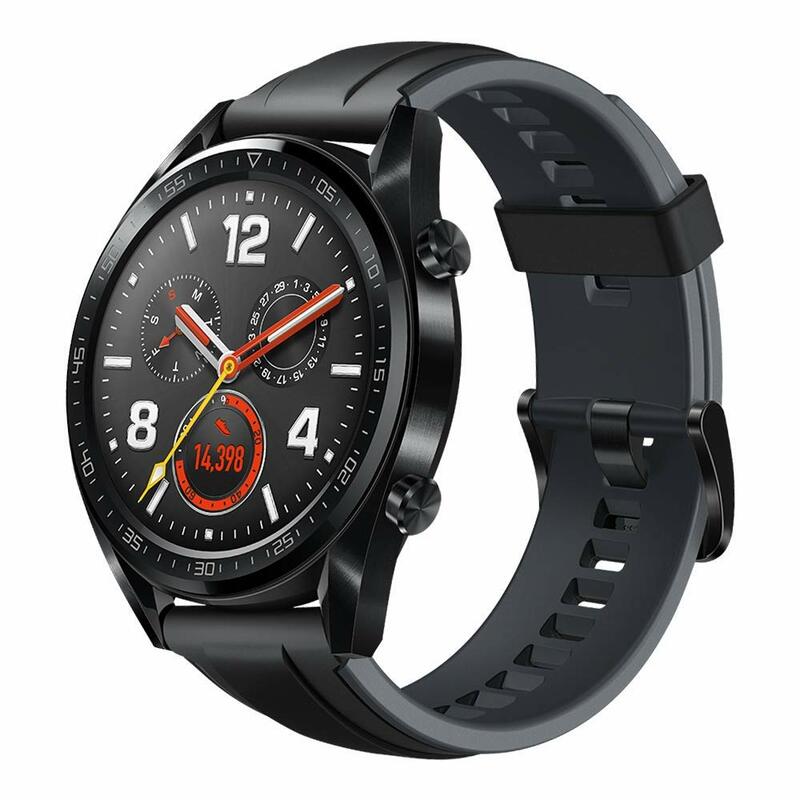 So if the Huawei Watch 2 was the company's full-featured, app-running, LTE-connecting smartwatch then the Watch GT is a wearable with a different set of priorities. The idea is to target a lower price point with a watch that only does what you really want it to. So fully-fledged apps are out, basic notification mirroring and health tracking is in. As is epic battery life, by way of a pared-back OS that's far more limited than Google's Wear OS. But as good as the idea may be, the execution, at present, is fatally flawed. Huawei's Lite OS fumbles the smartwatch basics, with buggy, jumbled notifications, bad watch faces and missing table-stakes features like music controls. The Huawei Watch GT is fine for fitness-tracking duties, and its long battery life is a huge strength compared to other wearables. But its limited smartwatch features are disappointing, and if you want strong messaging and music control features, then you'll want to look elsewhere. The GT lacks the heft of a traditional wristwatch, but still looks decent. The underside of the watch is where it shows its true focus. The black plastic body houses a heart-rate sensor, while the back of the strap is very clearly an all-rubber affair. The overall fit is comfortable, feeling like a lightweight sports watch as opposed to a heftier fashion wearable. In the silver color I've been using, reflective lugs contrast pleasingly with the front face, which shows off etched minute markers against a black bezel. Both the body and two side buttons are stainless steel adding a touch of flair beyond the basic plastic shell of the Huawei Watch 2. Frustrating as that is, I can overlook it just based on the monumental battery life of the Huawei Watch GT. This is by far the device's most outstanding feature. Whereas most smartwatches can only manage a day or two -- or maybe three if you're lucky -- the Watch GT routinely lasted me up to two weeks per charge. And when I did need to top it off -- assuming the charger held i place -- I could refill enough for multiple days of use in a matter of minutes. All this means that over the course of a year using the Huawei Watch GT, you might charge it as little as a couple dozen times. But this legendary longevity comes at a cost. Huawei's Lite OS offers a much more limited feature set compared to a standard smartwatch, and there are additional trade-offs in the performance of the stuff it can do. The Watch GT's UI is, at first glance, a reasonably accurate recreation of Google's wearable platform: Swipe down for quick settings, up for notifications, and horizontally to scroll between fitness and weather cards. The top button launches your apps list -- though you're limited to built-in apps only, since no third-party offerings are available -- while the bottom button lets you start a workout. There's no always-on display option, unsurprisingly for a watch focused on battery life. Nevertheless, it's disappointing to see that basically all of the built-in watch faces look pretty clunky and unattractive, with many of them clashing with the outward appearance of the device's hardware. Lite OS manages health tracking well, but falls flat as a smartwatch platform. What's more, the entire UI is pervaded by a weird frame-rate lag that makes even the less-than-silky Wear OS seem performant by comparison. The watch's notification support is also underdeveloped, without the ability to see which apps messages are coming from. (For instance, an email from Gmail and a WhatsApp message will look confusingly similar.) And a bug in the firmware at the time of writing results in duplicate notifications showing up for text messages. Plus it's impossible to open messages fully or act upon them like you can within Wear OS. The reason for this isn't clear -- Android's notification listener APIs allow any wearable platform to interact properly with notifications, just as Wear OS and Samsung's Tizen watches do. Finally, apps which use a persistent notification, like Uber, seem to confuse the watch. When waiting for an Uber to arrive, the watch would buzz every second or so as the ETA changed. And then there's the fact that music controls aren't supported at all in the current firmware. That's not a feature I use very day when I'm on Wear OS or a Samsung watch, but it is an option I miss having. Between all these bugs, and omissions, Lite OS's usefulness as a smartwatch platform is pretty limited. As a fitness band, the Watch GT's offers a more fleshed-out feature set. As mentioned, the bottom key lets you start a workout at any time, with options ranging from runs in various conditions to climbing, cycling and swimming. For runs in particular, the Watch GT can help you select a course depending on your health goals (for example, fat burning). During other kinds of exercise, the Watch GT tracks your health stats using the heart rate sensor, and distance traveled via GPS. Ultimately, the Huawei Watch GT is a decent, cheap fitness band dressed up as a smartwatch -- and not a particularly good smartwatch. If you're looking for a wearable to help you see notifications and juggle music playlists, this is not it. Instead, the Watch GT is aimed at a very specific target consumer who wants a focus on health tracking in an inexpensive wearable with long battery life. That's somewhat at odds with the "watch" part of this wearable though, and so for many potential buyers, the Huawei Watch GT will be a device to pass on.